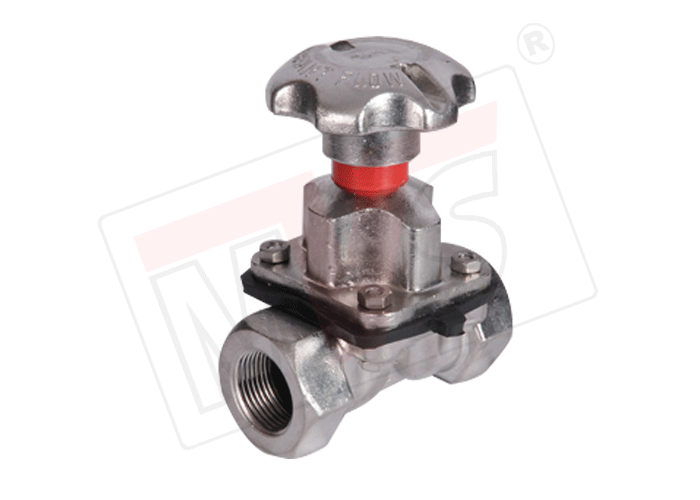 Our Unlined Screwed Ends Diaphragm Valve in Weir Type Design, with threaded ends as per BSPP is suitable for general industrial applications. A handwheel operated screwed end diaphragm valve with Ductile Iron body, bonnet and EPDM or Neoprene Rubber diaphragm. A manual diaphragm valve in ductile iron GGG40 black epoxy coated and screwed BSPP. Handwheel operated with yellow position indicator. The valve closure is by way of an EPDM elastic-polymer diaphragm. 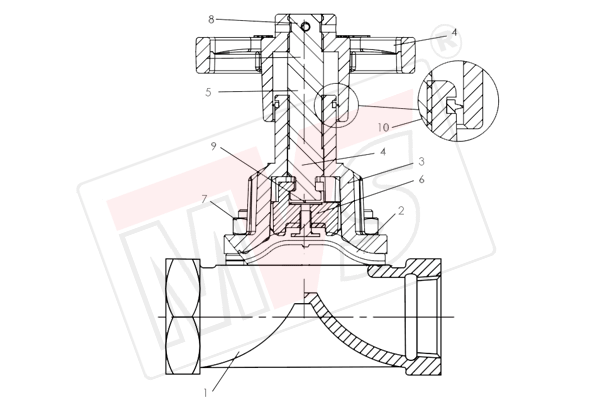 The valve is a weir type design and operates in a linear motion. Bolted bonnet and seat less design ensures an inexpensive easy to maintain solution for a large number of applications. 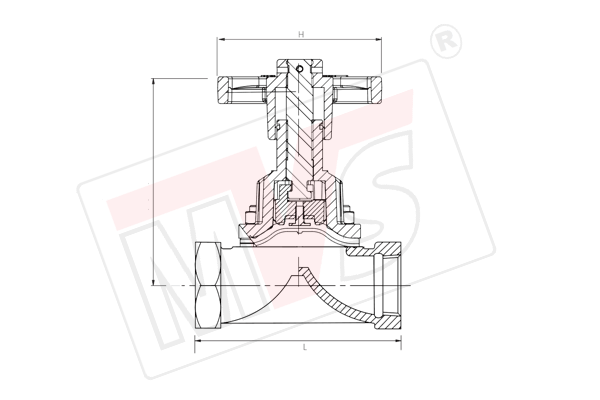 MVS range of bi directional Weir Type threaded ends diaphragm valve offer exceptional durability and reliability. 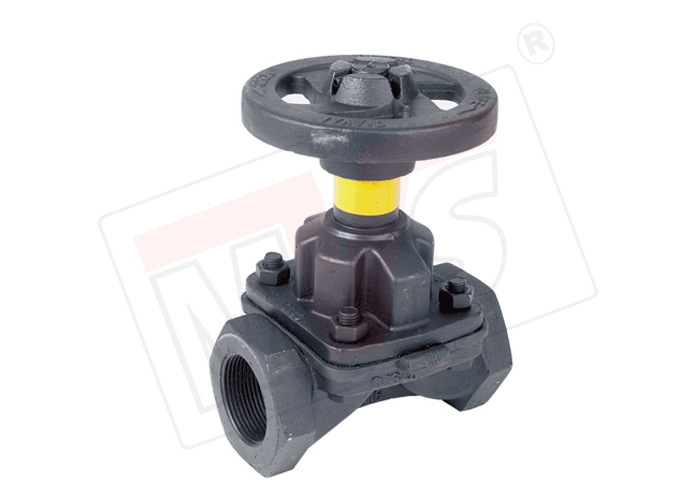 The clean design completely isolates line media from the mechanical components of the valve. 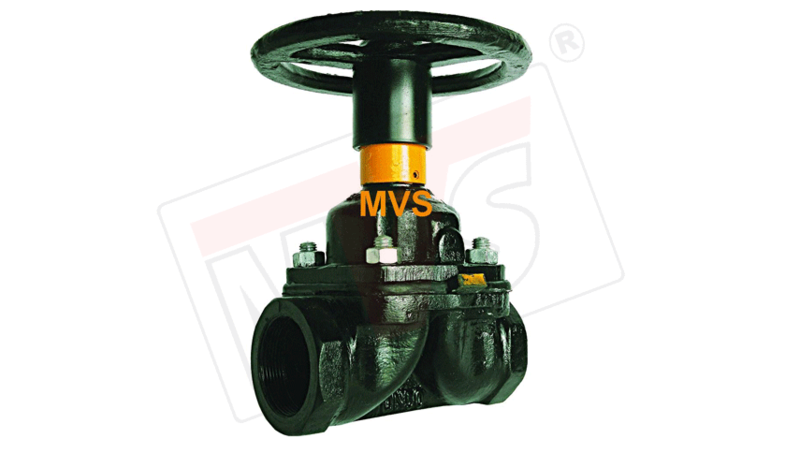 MVS Valves is an ISO 9001 : 2015 Certified Co., Established in 1978 We manufacture and export wide range of Industrial Valves, Thermoplastic Valves and PTFE Lined Valves, Pipes and Fittings. Our Range include Diaphragm Valve, Ball Valve, Plug Valve, Butterfly Valve, Gate Valve, Globe Valve, Check Valve, Knife Gate Valve, Sight Flow Indicator or Sight Glass, Strainers or Filters, PTFE / PFA / PVDF Lined Valves, PTFE Lined Pipe, PTFE / FEP / PFA / PVDF Lined Pipe Fittings and Polypropylene or PVDF Valves.